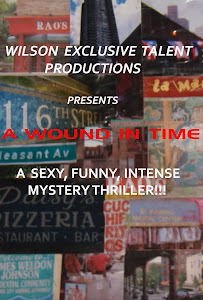 A WOUND IN TIME: "A WOUND IN TIME" MAY BE BACK FOR AN OPEN RUN! "A WOUND IN TIME" MAY BE BACK FOR AN OPEN RUN! All of the wonderful folks waiting for updates regarding auditions please check this blog regularly. Any delays are due to the delicate dance of production possibilities!